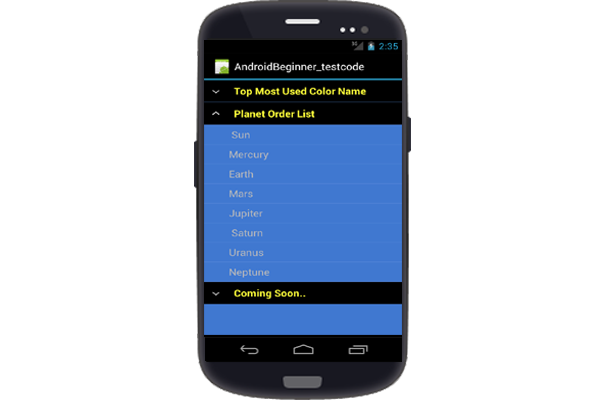 In this tutorial explain how to used expendable listView in android. In this class drag and drop expendableListView widget. the another group item header xml class. create a another listview item xml class, child items. getGroupView() the Method set the required group header. getChildView() the method set listView item.